Learn to express yourself in this versatile yet challenging medium, on whatever subject or style you chose to work in. 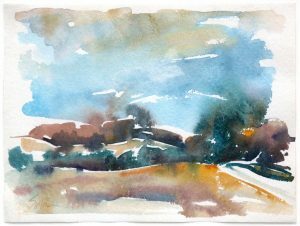 Whether you are an absolute beginner or you are an experienced watercolour painter wishing to take your paintings up to another level; Andrew Sookrah will guide you through the exercises you need to master in order to freely express your artistic self. 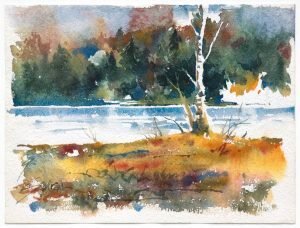 With a mix of live demonstrations showing the basics or advanced techniques and one-to-one interactions Andrew will provide the guidance you need to become comfortable working with watercolour. This class will also cover the basics of realism and abstraction with topics including drawing, composition, design, perspective, colour, and transparency. 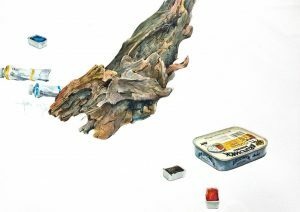 Subjects for consideration – still life, landscape, abstraction, portraiture, animals, etc. 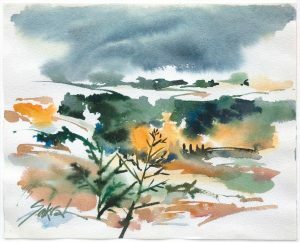 Andrew Sookrah is a professional artist and an elected member of the Canadian Society of Painters in Watercolour, the Society of Canadian Artists, The Ontario Society of Artists and the Portrait Society of Canada. 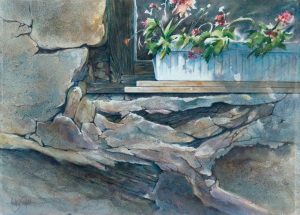 He studied watercolour painting at the Ontario College of Art and has been painting a wide variety of subjects in different styles since 1980. 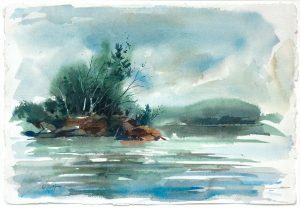 He has judged many shows of watercolour paintings, including Open Waters International Watercolour Exhibition 2017 at the John B Aird Gallery in Toronto. Ticket sales are non-refundable, and materials are not included. Please click here to view and download the materials list suggested for this class.